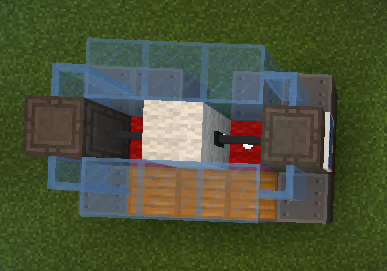 Printers are machines that turn cobblestone and energy into various materials. 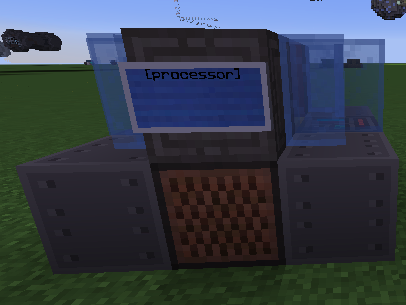 Ensure the sign has power (accepts power through noteblock). 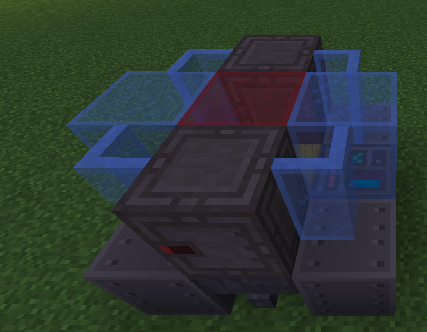 Then, put a focusing lens (prismarine crystals) in the top slot. 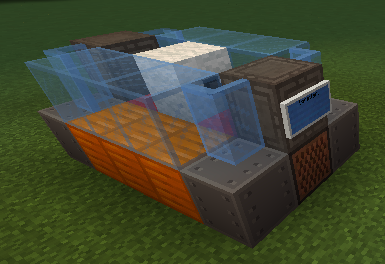 Next, put cobblestone in the fuel slot. The printer should now begin converting. 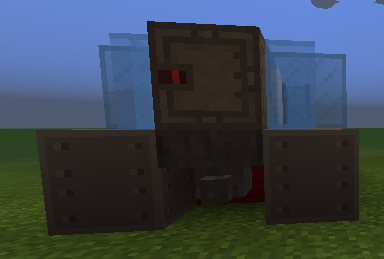 Red blocks are replaced with the machinery blocks. 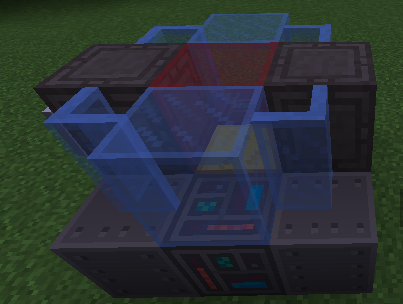 The blue block is replaced with the core block. 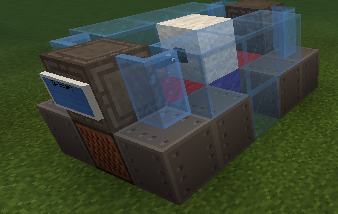 The white block is replaced with the product block. 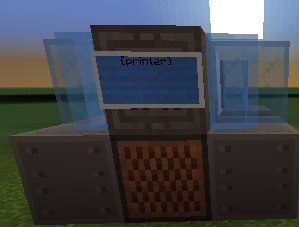 Copper blocks are only on the LEFT of the sign with [Printer] on it. The rest of the mats involved are the blocks that cause specific results. Carbon processors simply process raw concrete powder into concrete. Using a carbon processor is the same as a printer. Except that you must use graxene(concrete) powder rather than cobblestone. The color of the product is determined by the color of the stained glass in the center.